A classic and stylish coat this Barbour Hermit Jacket is a long length trevose waterproof jacket. Featuring wave stitch detailing to the hood, baffle lined in a pretty and beach theme beachcomber print on the inner whilst finished with a selection of pockets. 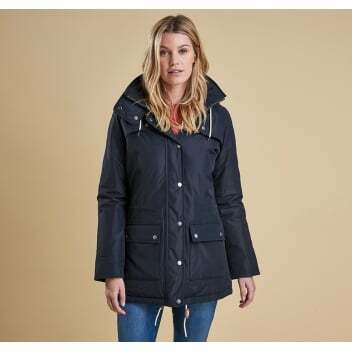 Pretty yet practical this coat is ideal for country walks or trips to town.